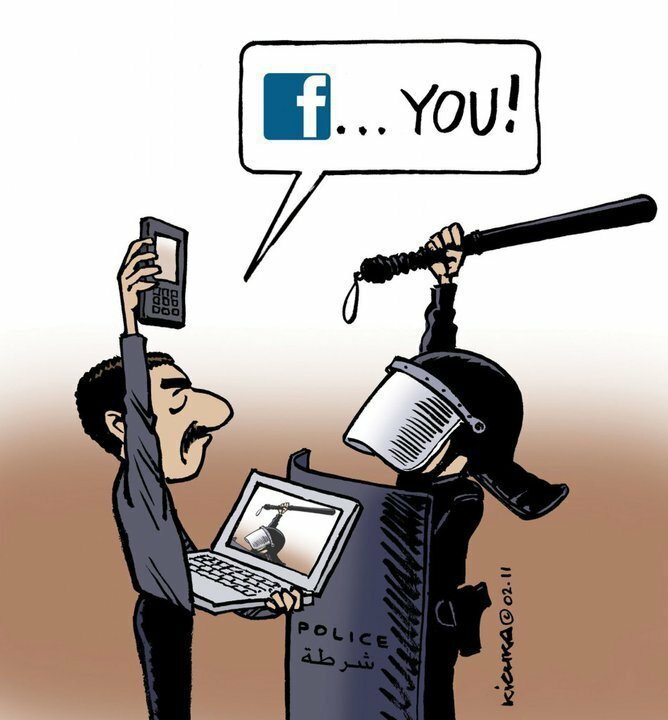 While the recognition that small media can play a crucial role in democratic social movements, civil society and political resistance against the state (and powerful non-state institutions) has received a huge boost from the significant uses of the Internet, cell phones, hand-held video, and alternative news networks by protesters in the Middle East, sub-Saharan Africa, Spain, Greece, the United Kingdom, and elsewhere throughout the last year, the broader notion that a third kind of media–controlled by neither the state nor corporations–can serve as a tool for resistance (to the state or the corporations or both) and democratic change is not new. It did not arise with social media or with the Arab uprisings. My review of a two-volume set of books on such media, “Our Media” in the language of its authors, was just published in the Danish media research journal Mediakultur. Making Our Media: Global Initiatives Toward a Democratic Public Sphere is a two volume set that seeks to examine how small and alternative media are being used around the world to transform communication practices in more democratic ways. The set consists of 24 studies set primarily in Latin American countries, as well as the United Kingdom, Canada, Australia, India and South Africa. While I agree with the editors on both points, I believe adopting a deliberately critical stance can often reveal important things that practitioners could benefit from knowing. The study of ”small”, ”alternative”, and ”social” media – i.e., ”our media”, as the editors of these volumes would have it – has long been sidelined in the vast field of political communication in favor of larger-scale media or attention to how state and corporate actors use alternative media to reach publics. Recent events in the Arab world, the Mediterranean (Spain and Greece), Africa, the UK, the US, and elsewhere, will necessarily force mainstream scholars to attend more closely to social and alternative media. As they do, this exhaustive collection will provide an excellent resource for contextualizing, historicizing, and globalizing emergent work examining the role of communication in popular uprisings and movements for democratization. Peterson, Mark Allen. 2012. Review of Making Our Media: Global Initiatives Toward a Democratic Public Sphere, Volume One: Creating New Communication Spaces. Rodríguez, Clemencia, Dorothy Kidd and Laura Stein, eds. (Creskill, NJ: Hampton Pres,. 2010) and Making Our Media: Global Initiatives Toward a Democratic Public Sphere, Volume Two: National and Global Movements for Democratic Communication Stein, Laura, Dorothy Kidd and Clemencia Rodríguez, eds. (Creskill, NJ: Hampton Press, 2009). Mediekultur 28(52): 185-188. Sphere, Volume One: Creating New Communication Spaces. Creskill, NJ: Hampton Press.